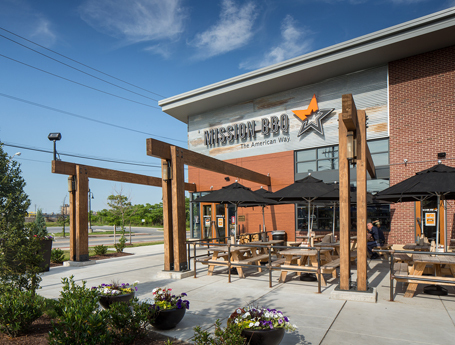 Mission BBQ was launched in 2011 by two friends who are passionate about superior BBQ, patriotism, and running a business with meaning and purpose. Every day they strive to serve authentic BBQ made from the freshest, most delectable ingredients, and serve it in a patriotic dining room filled with tributes to those who’ve made our country great. This is a casual place to enjoy great barbecue and wash it down with a cold lemonade or beer. The menu reflects the owners’ dedication to discovering the secrets of great barbecue and deliver incredible food to places that don’t currently offer it. Meat options include Texas inspired brisket, slow smoked pulled pork, sliced turkey, regular and spicy sausage, ribs, and chicken (referred to as”yard bird” there). There are also traditional sides including baked beans, cold slaw and Maggie’s mac-n-cheese. 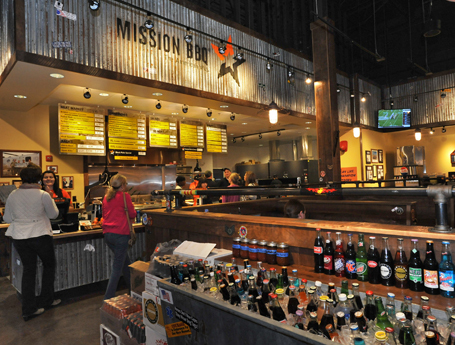 Rest assured Mission BBQ’s food and customer service will keep you coming back for more. Mission BBQ also offers catering. Mission BBQ believes there is nothing more American than BBQ. And nobody is more American than the brave men and women who have sworn to protect and serve our communities and our country. 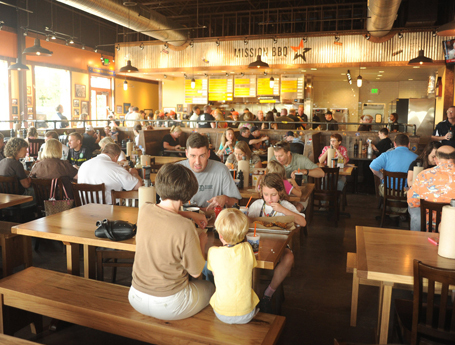 Everything about your experience at Mission BBQ reminds you of the gratitude we owe our heroes and protectors.